It’s the largest political event in China: The annual People’s Congress or “Two Sessions” meeting saw a total of 5,136 delegates descend upon Beijing’s Great Hall of the People. The event is nicknamed “Two Sessions” because it consists of two two-week-long sessions taking place simultaneously. One, by the Chinese legislature, the National People’s Congress (NPC), starts today. The other, by its advisory body, the Chinese People’s Political Consultative Conference (CPPCC), commenced on Sunday. The meeting is the only time in the year that the Chinese legislature meets. The Great Hall in Beijing serves as a meeting place for China’s ruling Communist Party at other times throughout the year. 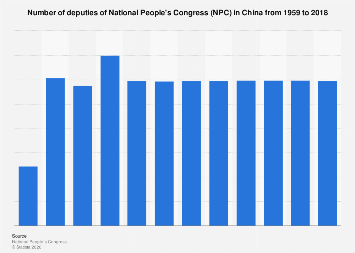 This instance underlines why the NPC (as well as the CPPCC) is viewed as a ceremonial gathering rather than a real functioning governmental body. Laws are more often passed by the NPC’s Standing Committee (175 members) during other times in the year. The Standing Committee consists of a Communist Party supermajority just like the NPC as a whole. 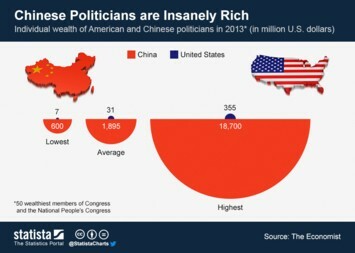 The CPPCC, which draws its members from a variety of organizations and social groups, also has an estimated share of two-thirds Communist Party members. Different occupations (including literature and arts) as well as ethnic minorities and delegates from Hong Kong and Macau are present, if in small numbers. Delegates identifying with Taiwan are even fewer. They are part of the organization Federation of Taiwan Compatriots (15 participants) in the CPPCC and in the Taiwan Democratic Self-Government League party (11 participants) in the NPC. That’s 26 out of more than 5,000 people. While the political power of the massive convention is rather small, it is often used for symbolic gestures and big announcements that gather attention. In the previous year, the NPC passed an amendment to the Constitution that removed presidential term limits.